The Raleigh Rose Garden is a place that you should visit if you are ever in Raleigh, North Carolina. 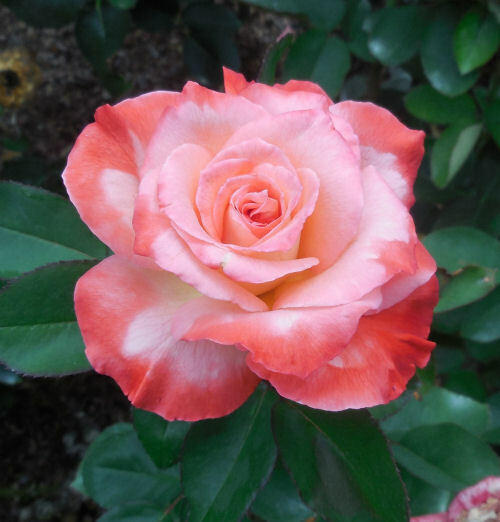 It has a splendid array of roses of all types and colors. Variegated roses were especially prominent on my latest trip. If you love growing perennials, you’ll want some of these in your garden! Raleigh’s little Theater has a wonderful rose garden behind it. I discovered it year’s ago when my daughter performed in a play there as a middle schooler. Now, every year, she takes me to the rose garden for Mother’s day and my husband and I often go there when we go out for breakfast on the weekend. 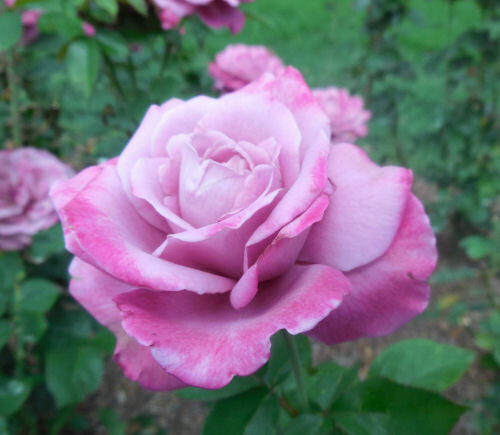 Did you know that each of the rose colors signifies a different emotion? Find out what they mean here. 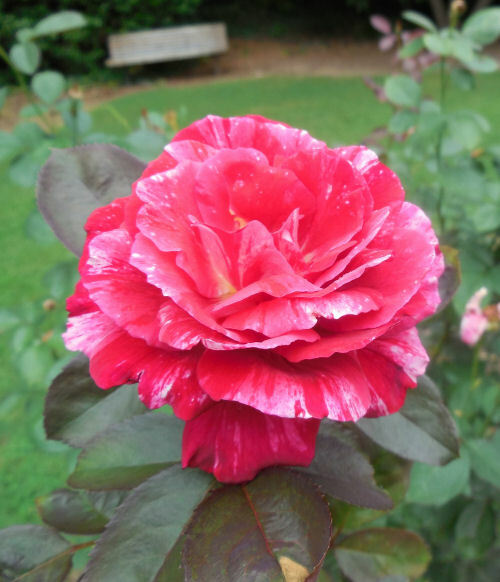 Raleigh NC Rose Garden – Variegated Roses. We went today and I got some lovely photos of roses. They had not dead headed the bushes, which as a shame. It was not very tidy but I did manage to get some lovely photos. I’m doing a series of articles. 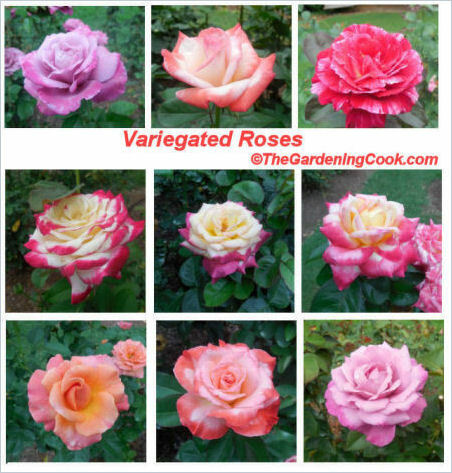 This one showcases the variegated roses that I captured today. Check back later for other photos in separate articles. I love the romantic look of this peachy pink rose and how they tips are slighty darker. This interesting rose sports yellow and pink together. One would not normally combine these colors. This fluffy pink petaled rose with a soft yellow center is very lovely. 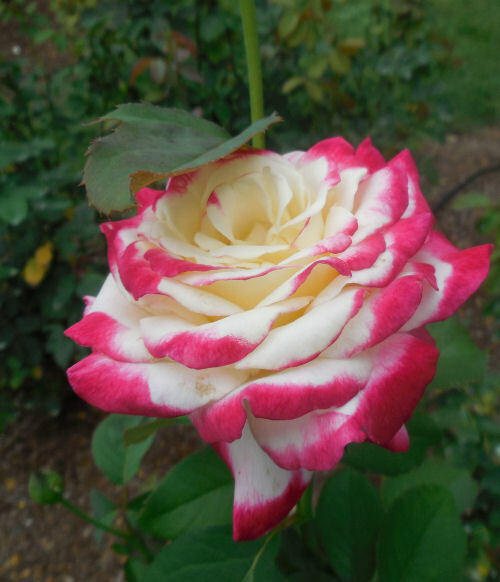 The white interior of this variegated rose reminds me of Osiria Rose. 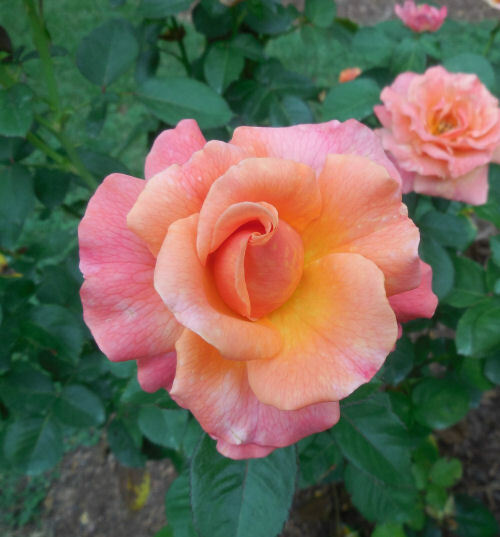 The coloring of this rose is more haphazard looking which adds to its charm. 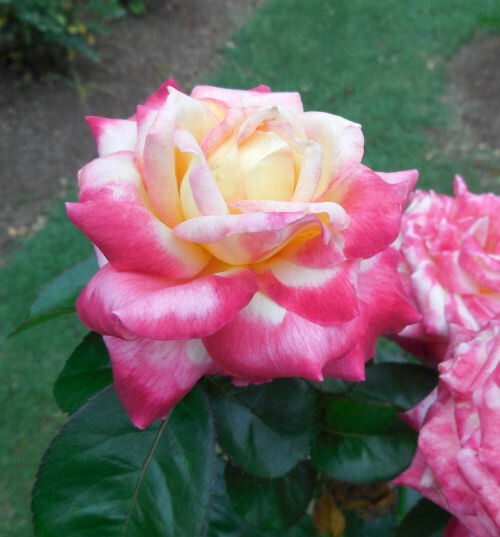 Pale pink with brighter pink edges gives this variegated rose a very romantic look. This rose is simple in design but big on effect! 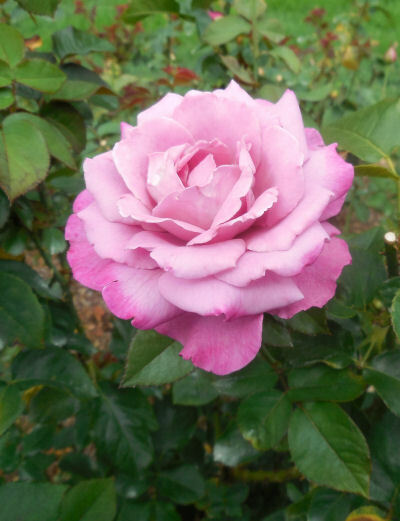 Do you know what the different colors of roses signify? Check out this article for more info on this subject.